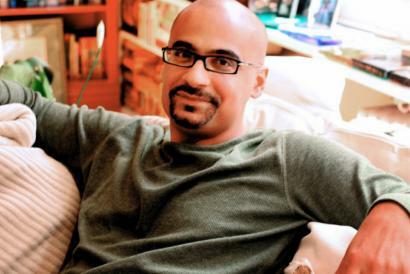 Junot Díaz's 1996 story collection, "Drown," was lauded for its beauty and subtlety, its humor and humanity. It won awards and hit best-seller lists, and inspired the phrase "in the tradition of 'Drown,' " which graced the back cover of more than one debut work of fiction by a writer of color - a testament not only to the publishing industry's lack of imagination, but also to the doors the Dominican-born Díaz's success left ajar. They have since been walked through by a succession of young, multicultural, multiliterate American writers whose work has gone a long way toward rejuvenating the literary scene. The general assumption was that "Drown" was a warning shot, heralding the novel to come. Why the literary establishment increasingly relegates story collections to the status of omens is another conversation, but the pause between Díaz's debut and the newly published "The Brief Wondrous Life of Oscar Wao" stretched far beyond pregnant; the novel became overdue. Perhaps adding to a "tradition" wasn't easy. "The Brief Wondrous Life of Oscar Wao" was worth the wait. The titular character is a Dominican gordo from Paterson, N.J. Lonely and awkward, obsessed with reading, watching, and writing sci-fi, Oscar pines for love but seems destined to disprove the widely accepted theory that no Dominican male has ever died a virgin. His story forms the narrative core of an expansive novel that also tells the tales of Oscar's spunky sister, Lola, their wrathful ex-beauty of a mother, Beli, and Beli's father, Abelard. The novel shifts backward and forward in time, switching between Santo Domingo and New Jersey. The shadow of Rafael Trujillo, the Dominican Republic's vicious dictator, looms large over the life of the family, as does the fukú, an ancient curse that may or may not explain the misery, heartbreak, violence, and mother-child conflict that have characterized their last 60-plus years. Lola narrates her own story, and the rest of the book is left in the hands of Yunior, her sometime-boyfriend and Oscar's college roommate; he bears more than a passing resemblance to the Yunior featured in several of Díaz's stories. Yunior's identity is revealed midway through the novel, well after the question of whose voice we are reading begins to grow distracting. This minor mystery is Díaz's most questionable decision, one of a few instances in which the surgical scars endemic to such a long writing process, presumably full of cuts and rearrangements and augmentations, flash before the reader. Otherwise, both narrative voices are superb, deliciously casual and vibrant, shot through with wit and insight even when the material turns dramatic: Abelard's undoing at the hands of the Trujillato; Oscar's final, tortured days; Beli's serial victimization at the hands of men. For a novel in which fates are determined by sexuality - Oscar's machismo deficiency, Yunior's infidelities, the overpowering allure of Lola and Beli, Abelard's refusal to allow the monstrous Trujillo access to his daughter - there is a bit too much drooling over various female body parts, even for a narrator of Yunior's appetites. Díaz is clearly interested in investigating stereotypes about Dominican beauty and sexuality, but sometimes the attention lavished on the novel's women verges on juvenilia. Nonetheless, Díaz's mastery of his characters - their hearts and the heart of the country from which they come - imbues "Oscar Wao" with grace and soul. The press materials accompanying the novel tout Oscar as literature's first "ghetto nerd," a long-overdue representative of an invisible group. It is a strange claim; were Oscar to cross the bridge into Manhattan, he could trade anime recommendations with Paul Beatty's Tuffy, the eccentric Harlemite who starred in the novel "Tuff." From there, it is a short trip to Queens, where Oscar could discuss obesity and alienation with Anthony, the protagonist of Victor Lavalle's "The Ecstatic." Then he could hop a gypsy cab to Brooklyn and fantasize about being a writer with Dylan, the constantly-mugged-for-his-comic-book-money future journalist of Jonathan Lethem's "The Fortress of Solitude." But if Oscar is not the first "ghetto nerd," he is one of the most vividly rendered, and Díaz does a masterful job of using Oscar's referential palette - from Tolkien's Middle-earth to Jack Kirby and Stan Lee's Marvel Universe - to illuminate the absurdity and horror of life under Trujillo (whose viciousness demands comparison with the villains of fantasy) and the daily strain of American marginality. Critics are sure to comment on the cultural and stylistic mash-ups to be found here, the fact that Díaz's narrator can switch from arch, romantic prose to flippant slang, from English to Spanish, from manga to "In the Time of the Butterflies." Some readers will find this level of democracy unrealistic - particularly once the novel's main narrator is revealed to be a college professor - not realizing that this kind of gleeful cross-stitching is a hallmark of hip-hop-generation fiction. Others will rhapsodize over Díaz's expansiveness as if it is a bold choice, not understanding how naturally his expert mixology is derived. The great achievement of "The Brief Wondrous Life of Oscar Wao" is Díaz's ability to balance an intimate, multigenerational story of familial tragedy with a meditation on the larger horrors that have gripped their homeland. The past and the present remain equally in focus, equally immediate, and Díaz's acrobatic prose toggles artfully between realities, keeping us enthralled with all. Adam Mansbach's novels include "Angry Black White Boy" and the forthcoming "The End of the Jews."